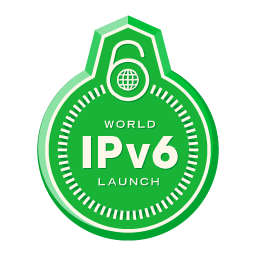 World IPv6 launch day (June 6, 2012) has finally arrived. Many industry leaders have agreed to redefine the global internet on this occassion. The world will certainly be a better place with IPv6, the new Internet Protocol addressing mechanism which can be allocated to every single sand particle on the Earth. Today, all major industry players are deploying their IPv6 version of their websites which you can browse if you are using Internetwork in IPv6 mechanism. World IPv6 launch, organized by Internet Society, is a part of mission to make Internet open and accessible to each of us. As an agreement and understanding, World IPv6 Launch is now a permanent commitment to deploy IPv6 on every possible network and network equipments. So, why do we need IPv6 and what is the problem with IPv4? IPv4 has approximately four billion IP addresses (the sequence of numbers assigned to each Internet-connected device). The explosion in the number of people, devices, and web services on the Internet means that IPv4 is running out of space. IPv6, the next-generation Internet protocol which provides more than 340 trillion, trillion, trillion addresses, will connect the billions of people not connected today and will help ensure the Internet can continue its current growth rate indefinitely. Read: what’s the problem with IPv4? Here is why you should now get a free IPv6 address for your blog or a website today. IPv4 and IPv6 – the past and future of the internet Infographics by Cloudflare.